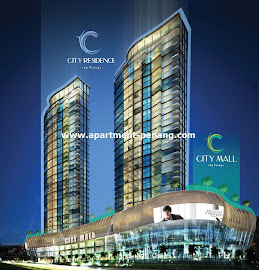 City Residence is an Ivory Properties Group project located at Tanjung Tokong, Penang. 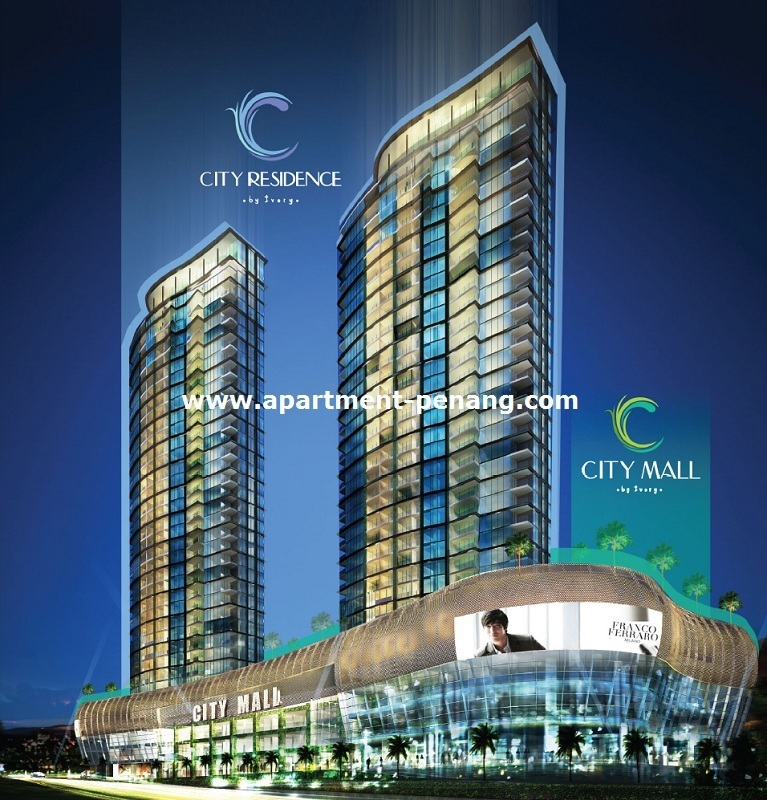 City Residence comprising 202 residential units on two 39-storey towers built above City Mall retail outlets. The built-up area ranging from 460 sq.ft. to 5,600 sq.ft. with choices of studio apartments, typical apartment units and penthouses. The facilities at City Residence include swimming pool, gymnasium room, sauna room, children playground and BBQ area. Built-up Area : 460 - 5,600 sq.ft. Anybody know the price and launch date? this is the previous project called the residence. it was supposed to be single block completely sold out.. wonder if they will maintain the same price/sq feet for the original buyers when they change the layout completely. Once beaten twice shy! I had bad experiencey with its 1 Island Resort which I signed its SPA almost 5 years ago but conveniently it was not stamped. Is the 1 Island project still on? Or scrapped? My friend... condo selling at RM900psf have swimming pool inside the unit... thats why RM900psf. Penang market cannot sell standard condo at RM900psf... for now. wah! indoor pool, can swim naked lor! mmmmm! got selling point. wonder when can see condo that can park the car inside. Island Resort 1 was supposed to be phase 2 of Island Resort 10, which is yet to be completed and was launched much earlier than Island Resort 1. After 18months of signing SPA, which was never stamped, I was told to switch to a smaller unit in Island Resort 10 which would cost additional RM50,000 or get back what I had paid as Ivory was not sure when it could start constructing it. Obviously, I was not happy with Ivory's type of business ethics and asked for refund of deposit. Heard Island Resort 1 was cancelled. Apparently they want to keep that land for future development. I called Ivory and they said that the launch date either middle or end of the year. Given today market Brezza and Fettes selling average RM450 to RM550 per/sqft so City Residence should follow aswell. Can anyone let me know roughly the price? Anyone aware whether there is any progress on this project lately? It sits on prime location and don't expect it to be cheap.Look at what happens at Fettes Residence.Though I would love to own a unit but I believe this project will only be completed in five years time as Ivory have so many new projects coming up.Just to name a few,The Wave, Latitude,Penang World City etc. What happened to Fettes Residence? Don't you know that FR price appreciated so much!After Tanjong Bungah,Tg Tokong location is booming and now new projects in this area are beyond our reach especially wage earners.I love this place but how to buy where prices keeps going up.Heard OHM group got a project coming up this year in front of the current Peak project.If true,wonder what the price would be!Anyones guess? Just look at the Jazz Residence opposite Tesco at Straits Quay,one million for a 1300 sq ft area.Crazy isn't it? come on, it is not "not expect to be cheap", this project already being lanched officially weeks ago, and now only left a few lower floor units selling at >800psf. The ~1250sf unit is the best among all, 3 bedroom all with view and facing morning sun, 3 bathroom, and balcony in living and master bedroom, 2 front to back car park, freehold. This project, in this location, is red hot, the price as compared to e&o (>1000psf), The landmark (>1200psf) still considered reasonable. this project started many moons ago. If i am not wrong the earlier buyers who bought at RM300 over psft back in 2009 already profited a lot from it. This goes to show that Ivory's project can take a very long time to start after launching. Get your data right, those early purchasers booked at >400psf (after 10 + 5% discount) 3 years back, not 300psf. They have been given block B units as an exchange, and many of them forced to drop out as being given much bigger built-up, or much taller units (each floor increase by 3k)which worked out be be much more expensive. The addtional 5% discount also being forfeited, and replaced with the renovation package. So is Ivory stink? Yes, very stink. So still want to buy from them? Yes, b'coz their cheap-skate tactics can make you earn a fortune after few years. Who cares if they stink? i got a bigger built up as it is more spacious. love this location as it is very convenient. i would like to ask...is the studio units for sales? if yes, starting from how much? Hello, I am interested in Type 2 (1230sf) Still available? How much approximately? I visited the sales office few months back, all the 1230sf units already being taken up. The price at that time already started from >=1mil, with some small discount given. As far as I can remember, the 30th floor unit is selling at ~1.1mil before discount. The 1230sf units are the best because living room and all bedrooms are facing outward, terrific design for view, lighting and ventilation as normally either 1 or 2 bedrooms would have no external view. The layout also very practical. Unfortunately the best unit also the mostly sought, try ask from developer if still left-over, but price wont be cheap thats for sure. Freehold with 2 car parks given, priced <=1000psf, this probaly the best project in the tg tokong golden triangle precinct. 460 sf studio still available not?? Heard that tanjung park owners say price drop and stuck because of this project? SHOW UNIT IS READY !! 90% SOLD !! LIMITED UNITS LEFT !! I have nice units for rental and for sale at City Residence. Do let me know if you are interested and I shall send some information and photos.